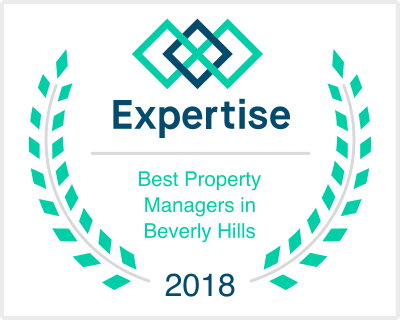 The generally accepted understanding of the role for a property management company is to collect rents and handle tenant related issues/concerns. While this is a very simplistic view, it is a belief that is relatively accepted in terms of what a property manager does. This article will attempt to highlight a couple of other lesser known but critically important tasks that a good property manager should be doing for you and your investment. When hiring specific vendors (assuming the vendor is not in-house employee of the management company), your property management company should be obtaining among other things – W9s from each of its vendors. At the end of the year, your management company sends 1099s to each of the non-corporate vendors with paid invoices over $600.00 for that given year. Handling this sort of paperwork on behalf of the owners is something that is often overlooked by owners but is value that a management company brings to an owner. Managing a building in Sherman Oaks, we received a Work Order from a tenant that their hot water heater was not working. Within an hour our plumber was out there to inspect. The entire ignition dial for the water heater was corroded and either the water heater needed to be fully replaced or the ignition pilot needed to be replaced. Since the water heater was under manufactured warranty, we were able to contact the manufacturer and they sent us replacement parts. The hot water heater was repaired within 36 hours and our tenants were grateful. Further, our owner was impressed that we (a) identified that the appliance was still under warranty and (b) we were able to minimize repair costs for her; thereby saving her money. A professional property management company should know the rents in the area and are constantly updating their knowledge of the local market. As part of this process, K.I.G. Capital routinely conducts a rental survey for its owners in effort to determine whether our rents are at or above market rate. We are constantly looking at competitive units and what they are offering in terms of amenities. We are striving to ensure that our units are offering the same or better types of amenities so as to attract better quality tenants paying top market rates. An astute property management company should assist owners in ensuring that the property is appropriately insured. While management companies are not insurance agents, we are able to at the very least consult with owners and insurance agents on an annual basis to make sure the right insurance is in place for your needs. Annual budgets are a critical component of effective management. Each year, K.I.G. Capital provides budgets to owners and in effort to set the right expectations with them. We review the budgets so that we can prepare for the upcoming year. With each annual budget it is our goal to come in well below budget without compromising quality of the living conditions for our renters. These are just a few lesser-known tasks that your property management company ought to be providing to you. If they are not, we recommend that you inquire as to whether they are able to provide this service to you.